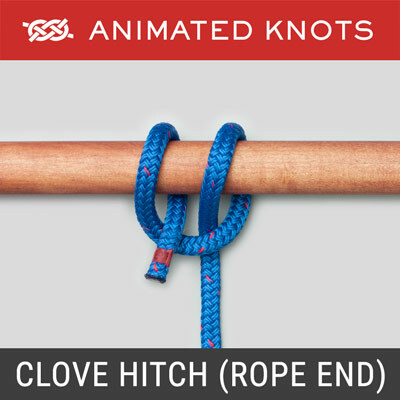 Form a bight in both ropes and overlap them. Pass each end around across itself - going over for the top bight and under for the bottom bight. Thread both ends past each other through the middle. Tighten to form the Zeppelin Bend. Back view. 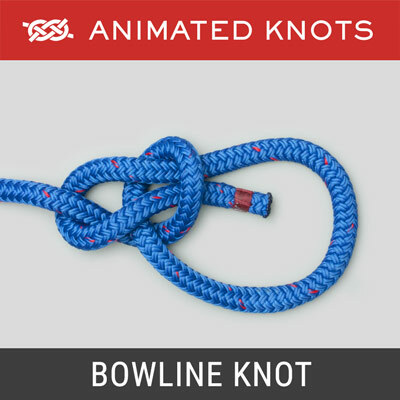 Uses: The Zeppelin Bend is one of the bends employing interlocking overhand knots. It is a reliable bend that can be untied even after being heavily loaded but not, however, while still under load. 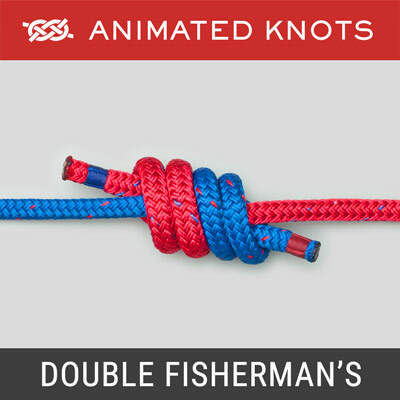 It is an excellent alternative to the more widely used Double Fisherman's because it eliminates the risk of jamming. Giles Camplin, Editor of Airship Heritage Trust's Journal Dirigible reported the following in Issue No. 60, Summer 2010: (1) the docking procedure typically employed shackling two wires together; (2) in later life Rosendahl claimed ignorance of the knot; (3) a Zeppelin knot cannot be untied under load; (4) a bend joining two ropes would be an awkward way to moor anything; and (5) a rigger who flew on the R100 reported they always used a Rolling Hitch. 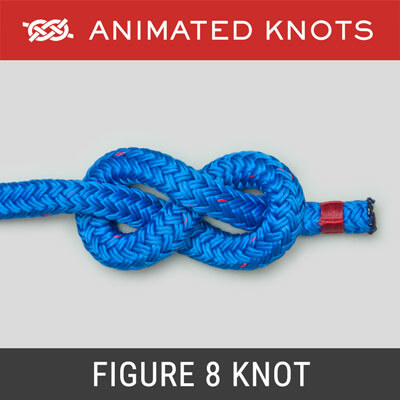 Similar Knots: The Zeppelin Bend is remarkably similar to several other bends including the Ashley, Hunter's, and the Alpine Butterfly Bend.Essentially all these knots employ interlocking overhand knots with the ends threaded through or across the middle. David M. Delaney tested these bends and the Carrick Bend for their tendency to jam. He heavily loaded the knots tied in 1/16 inch braided nylon. The Ashley and the Hunter's consistently jammed tight and would have had to be cut to release them. The Alpine Butterfly Bend, the Zeppelin, and the Carrick could all be untied easily using fingers and fingernails. Amongst the family of bends based on linked overhand knots, it would seem prudent to avoid the Ashley and the Hunter's. Tying it: The arrangement of the interlocking loops and the path of the ends through the center are critical. Although the Zeppelin is secure and can be untied easily, its similarity to other bends employing interlocking overhand knots risks confusion - and mistakes. 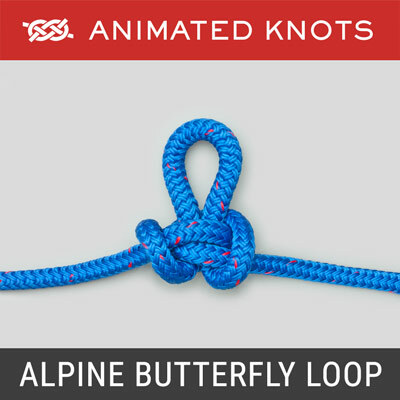 For this reason we also recommend the Alpine Butterfly Bend tied using the same technique employed for the Alpine Butterfly Loop. Technique is critical because Roo emphasizes the risk of creating an Evil Impostor when tied incorrectly. Advantages: The Zeppelin Bend is reliable with very little tendency to slip or bind. 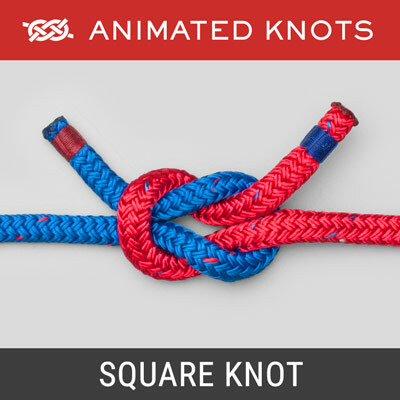 Testing by Roo found the knot to be exceptionally secure and shake-resistant in all materials. In this respect he regards it as superior to the Alpine Butterfly Bend. Disadvantages: Attention to tying it correctly is critical. After it is tied, it can be hard to distinguish it from the less satisfactory Hunter's Bend.